How is Tesla different from regular cars for long-distance driving? A Tesla sedan charges at a rest stop along the A7 highway on June 11, 2015, near Rieden, Germany. I’ve owned my Model S P85 since October 2013. It is the best car I’ve ever been in, let alone driven. Even though it “only” goes zero to 60 in 4.2 seconds, that’s plenty fast for me. Truth be told, I would have been just as happy with a regular 85 and its 5.4-second zero-to-60. Others have written about the performance and build quality, but I will concentrate on long-distance driving. I’ve put about 25,000 miles out of 42,000 on trips across country and up and down the East Coast. I drove from Florida to Denver in the middle of winter right after the supercharger route across the northern plains opened up. That’s right, I traveled up the transverse colon of America just to get across country. It was roughly 2,000 miles out of my way, but it was an adventure, and I had no problems at all with charging or snow on all-season tires in a rear-wheel drive car driven by a Florida native. It was a once-in-a-lifetime trip, since the rest of the supercharging network is building out rapidly. I paid a total of $16 in fuel charges, which includes the home charging before and after the trip. The built-in navigation knows where all the superchargers are, and plotting an optimum route is as easy as setting a destination. It will even skip superchargers if you have enough juice to do so safely. This summer, the southern route along I-10 and I-40 opened up, and I was able to go to Vegas in four leisurely days. Most superchargers are near decent amenities, although there is one that is in a pretty creepy part of Florida. 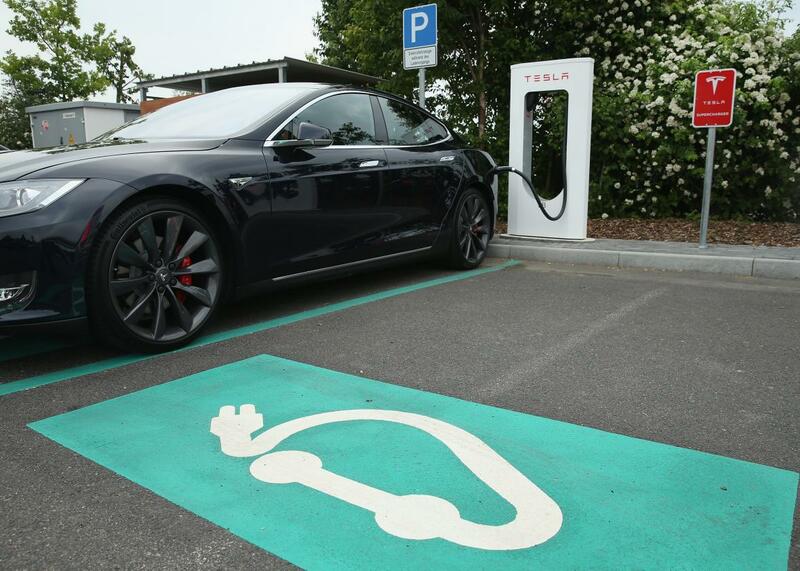 As the supercharger network grows, long-distance driving will become commonplace. It seems to add about two hours to a day’s driving for charging. That is great for me, since I use that time to get caught up on email, stretch my legs and eat. It’s not bad at all. One thing that is underappreciated with Teslas is the convenience of home charging. I wake up with a full charge and more than 200 hard-driving miles of range every single morning. I never have to stop at a gas station or worry whether I have enough fuel to make it to work. It takes me much less aggregate time to charge my car than my wife uses filling the tank in her Honda every month. And it is much cheaper, even with historically low gas prices. My guess is that by 2025 Tesla will have a lot of competition for electric cars, but right now, as others have said, the major automakers are about as clueless as BlackBerry was when the iPhone came on the scene. I’m sure some people still love their BlackBerrys, just like some people will still love their Camrys in 10 years. The electric car code has been cracked, and there’s no putting the genie back in the bottle. Tesla Motors: Has a Tesla model S ever been put on a track? Tesla: What are some issues that you should know about owning a Tesla before buying one? Electric cars: What is Tesla Motors’ most significant technological breakthrough?